Coming off a record-setting year, the Lady Flames won their third Big South Championship title, earning their third NCAA playoff berth. They also notched a program-record 49 wins, and advanced to an NCAA Regional final for the first time in program history. Coach Dot Richardson and her staff were also named the 2018 NFCA Mid-Atlantic Regional Coaching Staff of the Year, and associate head coach Paige Cassady was awarded the 2018 Easton/NFCA Division I National Assistant Coach of the Year. As the Lady Flames have continued their success during their transition to the ASUN conference, they were voted preseason favorites to win the ASUN title by the eight head coaches in the conference. Three of the Flames were also awarded preseason honors as well. Junior IF Autumn Bishop was voted ASUN Preseason Player of the Year, and senior Julia DiMartino was awarded ASUN Preseason Pitcher of the Year. Along with Bishop and DiMartino, junior IF Amber Bishop was also named a member of the ASUN preseason all-conference team. Coming off a terrific sophomore season, Autumn Bishop hopes to continue her stellar play. Bishop was named to the NFCA All-Mid-Atlantic Region team for the second time, and, along with her second consecutive Big South first team season, she was voted the Big South Tournament MVP. Bishop notched a .365 BA, and ranked second in the nation with a program-record 25 doubles. Autumn is an obvious leader for the Lady Flames on and off the field. Not to be outdone, Amber Bishop was also named to the NFCA All-Region first team in 2018, and was a member of Big South All-Conference first team for the second consecutive year. Last season Amber tied with a team-high .365 BA, leading the Lady Flames in RBI (42), HR (11) and slugging percentage (.644), was ranked nationally in hits (76th) and doubles (8th). 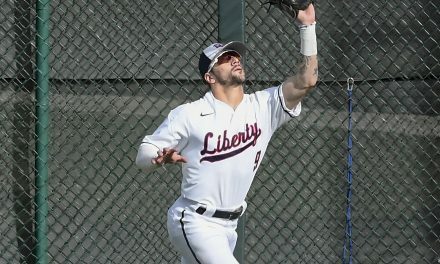 No stranger to Softball fans, P Julia DiMartino has dominated during her time at Liberty. She was the 2018 ECAC and VaSID All-State Pitcher of the Year and two-time Big South Pitcher of the Year and like the Bishop twins, DiMartino was also a member of the 2018 NFCA All-Mid-Atlantic Region team. 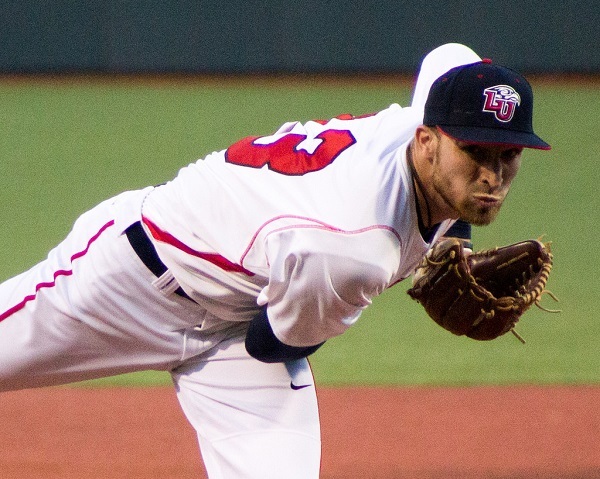 In 2018, DiMartino notched a 29-8 record, tossing an impressive 1.72 ERA. She also had 230 strikeouts, 10 shutouts, 6 saves and held opponents to a .198 BA. DiMartino’s 2018 campaign was also record-setting for wins, shutouts, saves and strikeouts. With one year still play, DiMartino already holds the school record for victories (68), shutouts (24) and strikeouts (592). The Lady Flames return 8 all-conference players from last season’s record setting year. For the first time in program history, Liberty softball ris anked No. 22 in the inaugural Softball America national poll (one of the three collegiate softball polls). Liberty also received top 25 votes in the ESPN.com/USA Softball Poll and the USA Today/NFCA Coaches Poll. Autumn Bishop was named to the 2019 USA Softball Collegiate Player of the Year Top 50 Watch List. Friday, the Liberty Softball team will open their season in Mexico against BYU in the FloSoftball.com Puerto Vallarta Challenge. Session one of the tournament will be held February 8-10, and other competing schools include Washington, South Carolina, Baylor, BYU, Duke, North Carolina, and Notre Dame. 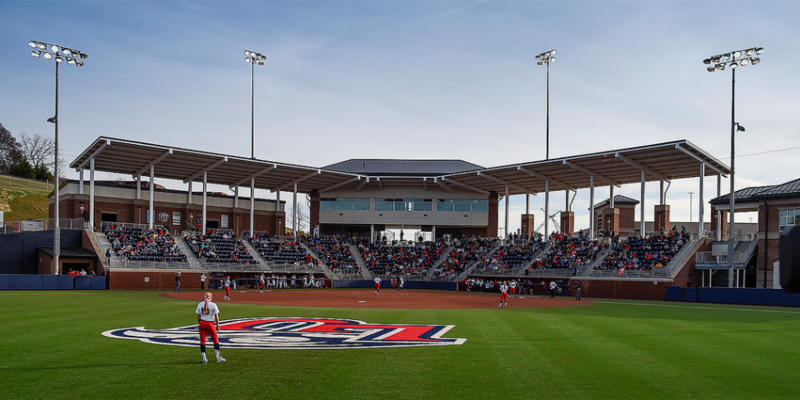 The Lady Flames will host their first home game on February 22 against Wright State, as part of the Liberty Softball Challenge.